These people are talking about how important drawing is for designers. Will Alsop and George Saumarez Smith did some actual drawing. I enjoyed the stories from James Stirling’s office and the extracts from Ken Shuttleworth’s sketch book of the month. 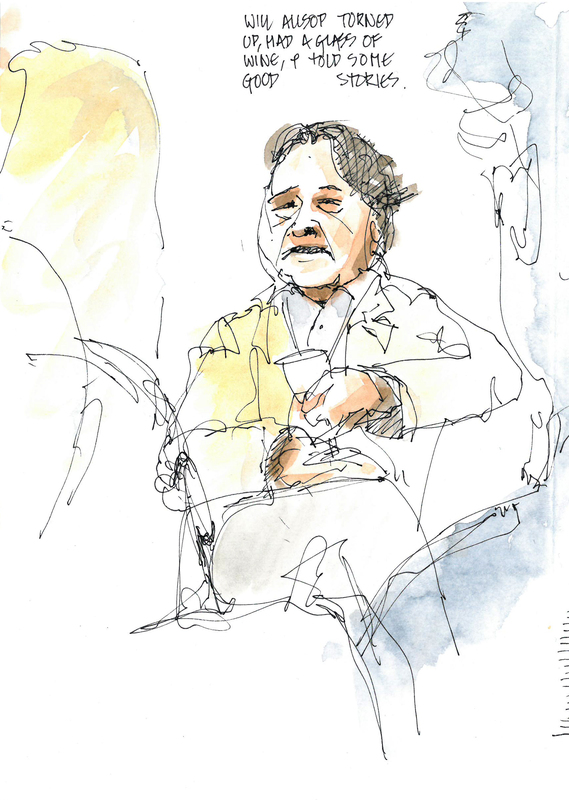 Will Alsop was quite late, but was the most comfortable with an anecdote. Inspired by such high achieving company, I popped round the corner to bona fide starchitect Renzo Piano’s colourful Central St Giles. It’s not the best thing I’ve seen from Piano, but big, mixed use and see through, perhaps he was warming up for the Shard.